In the weekly view, the S&P starts this week right at a key resistance level. And we have a lower weekly close to use as a reference point for an uptrend. It's a steep trendline...you have to wonder how long it can be maintained. 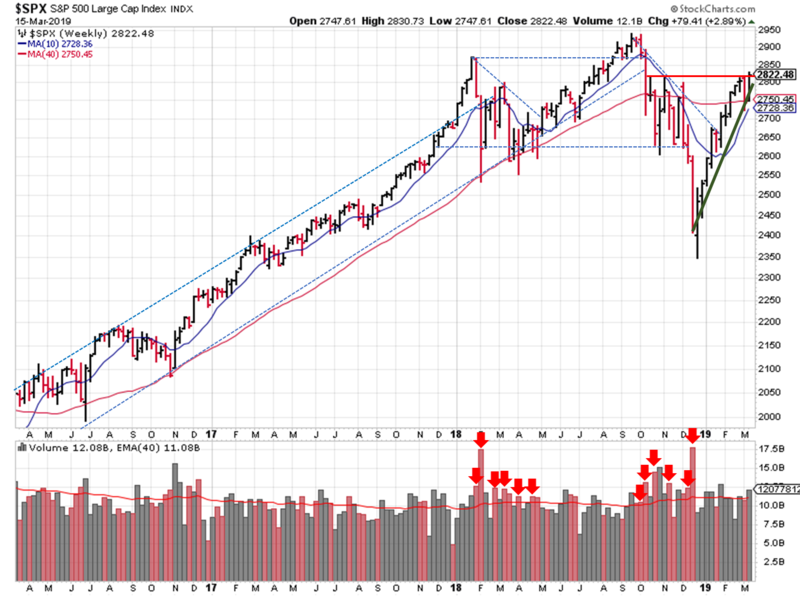 Switching to a daily view, the S&P500 ($SPX) recovered from a very brief trip below the 200-day moving average. Prices start the week just above a resistance trendline going back to Q4 of last year. 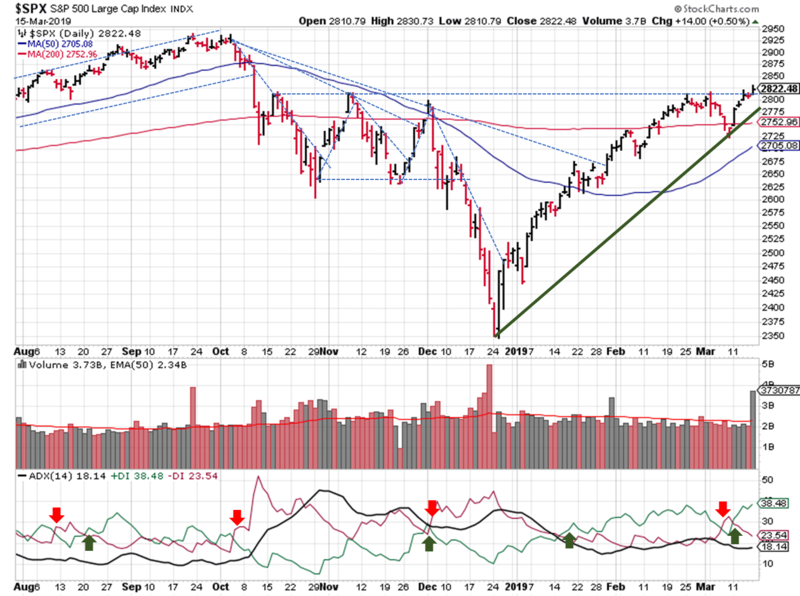 The index needs a high-volume gain this week to change the 2810's from resistance into support. 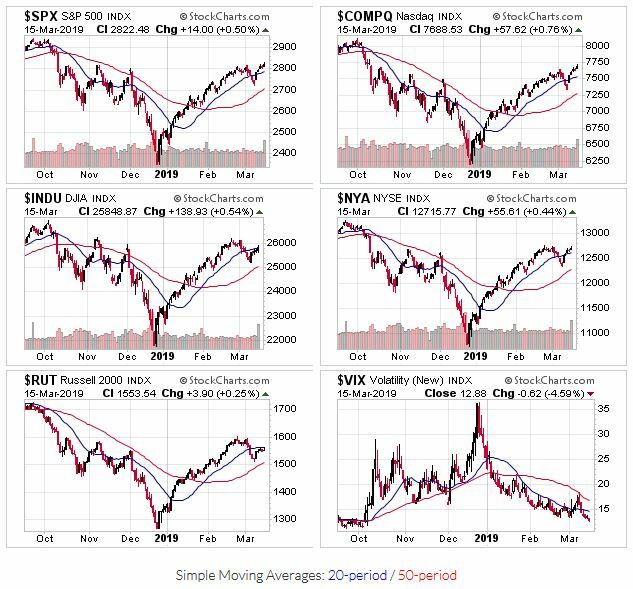 The DJIA and Russell 2000 haven't shown the same strength as the NASDAQ and S&P; this difference is part of the reason OEW touched on the possibility for "weak" price action.